Last year, in April, the IMD had forecast “normal” monsoon rains but India saw below normal rainfall. India will likely see a "normal monsoon" this year. 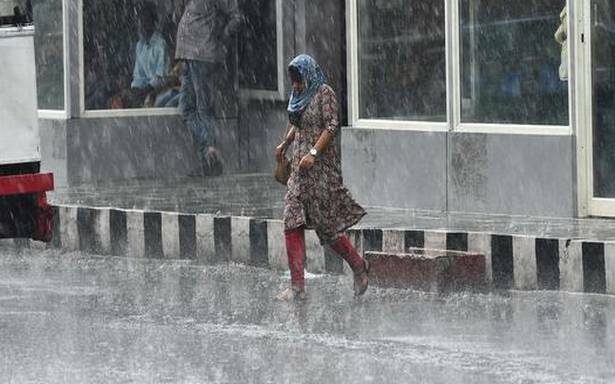 Rainfall will be 96% of the Long Period Average of 89cm, the India Meteorological Department said on Monday. Rainfall that’s 96-104% of the LPA is considered "near normal" in the IMD lexicon. "We can consider it normal," said Madhavan Rajeevan, Secretary, Ministry of Earth Sciences at a press conference publicising the forecast. Private weather forecaster, Skymet, said earlier this month that rainfall in monsoon this year would be "below normal." Last year, in April, the IMD had forecast "normal" monsoon rains but India saw below normal rainfall. The IMD will update Itá forecast in late May or June, Mr. Rajeevan said. "The El Nino is likely to weaken and its effect is likely to be felt most in June and less in July," he added. The monsoon lands in Kerala in June and peaks between July and August. However, a more accurate picture of the influence of the El Nino will be available around June, Rajeevan emphasised.